going to uni is all about getting drunk and partying, right? yeah, i guess that's how the media makes it out to any prospective freshers. for me, being a fresher was my first real experience with alcohol. 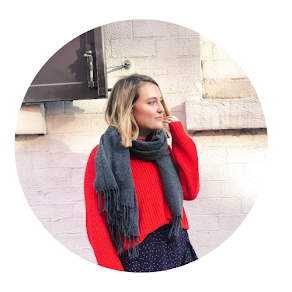 because i have a fear of sick, i'd been cautious about what i drank in freshers week, sticking to one type of alcohol and secretly only having a tiny amount. i still felt drunk since my system wasn't used to it, and i spent most nights tired and wanting to come home but unable to admit that getting drunk wasn't appealing to me. i think i sort of made myself believe that i liked it, and i went out loads and started drinking more and more to fit in. and i wont lie, some nights WERE fun. i DO have some good memories! but the bad times are also still there. having anxiety is a little bit like having someone in your head 24/7 telling you you're not good enough. and everyone secretly hates you. and you know it's not right but you sometimes fall into its trappings. lots of people with anxiety use alcohol as a way of calming down that anxiety monster, pushing it aside for a night. for me, alcohol fuelled the little guy. all of a sudden, you shouldn't have gone out tonight, something bad's going to happen, you're going to make a fool of yourself, you look ugly, none of these people like you, what if the nightclub sets on fire, what if you start throwing up, what if you lose control of yourself and can't get home? WHAT IF WHAT IF WHAT IF?? (those are the monster's favourite words). and all of a sudden the physical sensations come on too. like a little switch being clicked in your brain, like oop, she's ready now, best start shaking uncontrollably, don't forget to hyperventilate. it's taken me a LONG time to realise alcohol was fuelling it. and even if the nights had been okay, the following few days on the comedown were hell, i became irritable, nasty, tearful. and i think it's time to stop making myself feel like this for the sake of 'fitting in'. this is not to say i'll never go out again or anything, i might, and i might not drink at all, or i might drink. but i'll be very cautious. i worked with my counsellor to learn when the thoughts start happening and how to respond quickly to any bubbling panic attacks, so i'm doing pretty good right now. and hopefully i'll continue doing good, maybe having a small drink with people i trust in situations i trust. to anyone in the same position right now, feeling like they 'have' to go out, like they 'have' to drink, you don't, you really don't. it's not okay to feel that sort of pressure, and the media make it so much harder on new students these days. but 18-24s ARE drinking less than ever! because we're making informed choices about what alcohol does to our bodies and soooo importantly, our minds! what are your thoughts on the pressure to drink alcohol at university? Such a good post. I went to uni YEARS ago and everybody drank! It’s just what we did - but I do remember it affected people in very different ways. It’s so interesting that younger people are drinking less and the pressure isn’t there now we know more. Thank you for sharing. I really enjoyed reading it. wonderful post! I never drank in university, I would maybe have a sip of my friends drink but never my own because the thought of not being in FULL control of my thoughts freaked me out too much. I don’t really feel like I missed out on anything if i’m honest thankfully my friends are super understanding and never pressured me. I didn't go to University but since I was diagnosed with anxiety around 7 years ago, I haven't drunk and I'm completely tee-total now. I just don't want to drink, I don't like the taste, I don't like the feeling of being drunk anymore and I just don't WANT to. But whatever the reason, there's nothing wrong with it and nobody should feel pressured into drinking! I don't drink myself and never felt the need to, other than tasting a few times. Most of my friends don't drink either. There is nothing wrong with not drinking. Most bars and restaurants have a good selection of mocktails nowadays.